Our “Special Menu Playlist” is a chance to have specially themed curated songs at special times throughout the year. 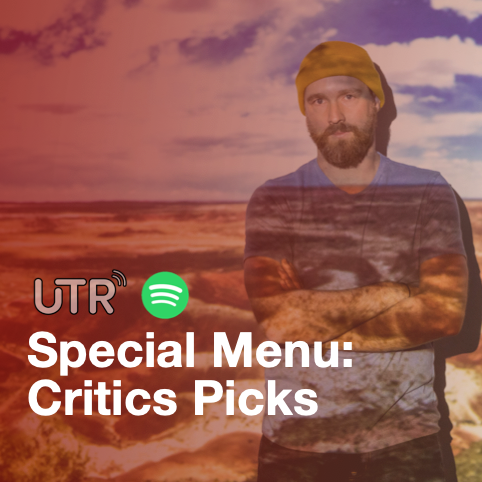 Recently, our UTR Panel of Critics not only helped us honor the Top 11 Gourmet Albums of 2018, but we also listed every album that was cited by our panel…. all 65 albums. This playlist features a song from each of these 65 cited releases. Do you have those special moments on your work calendar where you tend to “come alive” at your job? Maybe it’s excitement about your quarterly bonus. Maybe it’s going on a business trip to a place you love to travel. Or maybe it’s a special project that is rewarding in itself. This is true for me each year when we gather our UTR Panel of Critics to vote on the best music released each year. This is the 10th consecutive year we have had this panel and have released a Top 11 Gourmet Albums of the Year list. And since voting on these types of things has an element of subjectivity, there are always a lot of albums that get cited by one or more of our critics, but don’t get any “special recognition” – but still might be a fantastic project (one that at least one critic put on their own personal Top 11 list). So for the last 3 years, we decided to give some props and list out ALL the albums cited. In this year’s voting, there were 65 albums mentioned, and we are featuring them all here (at least the 98% of music that is available on Spotify). We begin with our Top 11 albums, then our honorable mention, and then the rest in no particular order. Enjoy some of THE BEST music released in 2018!